AirTV introduced its Local Channels DVR feature to all AirTV customers. The feature allows users to watch TV live or to record shows from local channels while at home or on the go. 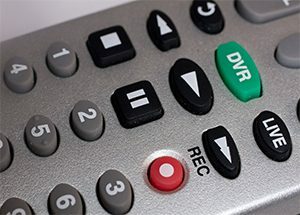 Local Channels DVR requires an external storage device to record free over-the-air channels through an antenna when it streams with AirTV. Also, it is available for iOS, Android, Amazon Fire, and Roku devices. Dual Tuner – This function allows you to record up to two shows at once or watch one show live and record another. Integrated DVR menu – Recorded OTA content appears on the same menu as Cloud DVR content in the Sling TV app, indicated by an OTA icon. You are not required to have Sling TV or an additional subscription to access your recordings. Storage – To store DVR content from local channels, you need an external USB hard drive, purchased separately. The AirTV can only support 2 Terabytes of local content, currently. Functionality – You can pause, rewind, and fast-forward your recorded content. You can also pause live TV.